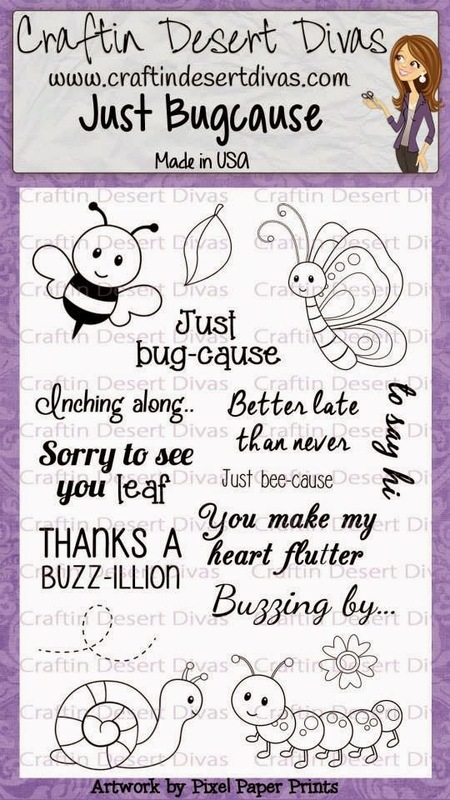 This is Shelly from MyPaperLove sharing a sweet little card using some fun products from the newest Release. 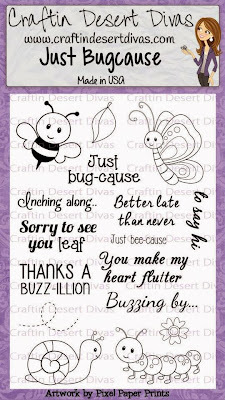 I just love the new banner die set and the Just bugcause dies and use them a lot :) Today I wanted to share a card using the tiny little flower from the Just Bugcause Stamps and Just Bugcause dies so I had this idea to use them on the edge of the card. I LOVE how it turned out! I cut the card in a wave shape so the inside of the card would show as well. I colored all the pretty flowers to match my paper and then used the oval die and stamped it with the "Hello friend" sentiment from the Happy Thoughts set. There are so many fun ways to use these dies - I just love coming up with creative ways to make cards and projects! I ALSO just love seeing all your projects over in the gallery. Stop by Craftin Desert Diva's Shop to purchase the newest release and the NEW dies and sequins! !